Welcome to the official webpage of the Malta ESP national network. If you would like to visit this network’s discussion board, please click here (members only). Malta’s ESP National Network wants to become an active platform for the development and promotion of activities related to ecosystem services and natural capital, and to link to other projects and international initiatives. The Institute of Applied Sciences of the MCAST has recently organised a research seminar entitled “Providing Nature-Based Solutions for Sustainable Development”. During the seminar, research on ecosystems, ecosystem services and associated benefits to society will be discussed, and the Horizon 2020 collaborative project ESMERALDA (“Enhancing ecoSysteM sERvices mApping for poLicy and Decision mAking”) will be launched locally. A Conference on ‘Evidence-based planning for greener cities‘ was held on the 13 June 2017 in Paola, Malta to discuss how science and the mapping and assessment of ecosystems and their services can inform city planning and policy-making, in order to improve urban quality of life. The conference was organised by the ‘EnRoute’ project of the European Commission in cooperation with the Maltese Presidency of the EU and the Maltese Institute of Applied Sciences, Malta College of Arts, Science and Technology. 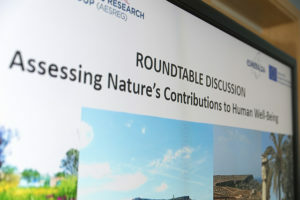 The Applied Environmental Sciences Research Group of the MCAST Institute of Applied Sciences recently hosted a round table Discussion on the contributions of nature to human well-being. This round table has brought together different stakeholders working in various sectors, and has included representatives from businesses, non-governmental organisations and authorities. 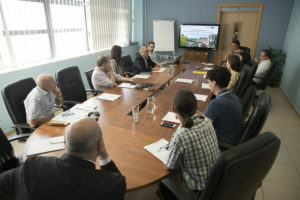 It has therefore provided an opportunity to share experiences, advance the discussion about nature’s contributions to people in Malta, whilst developing the research-to-practice interface for biodiversity conservation, improved human well-being and sustainability. More info from here. The Horizon 2020 project ReNature aims to establish and implement a nature-based solutions research strategy for Malta with a vision to promote research and innovation and develop solutions in a pursuit of economic growth, whilst at the same time tackling environmental challenges and improving human well-being through the delivery of ecosystem services. ReNature will develop the evidence-base, generate opportunities for knowledge co-creation with key stakeholders and for capacity building to stimulate scientific excellence and foster innovation, and create opportunities to promote the transition of research into practical solutions for policy and businesses. Integration of ecosystem services in EU Member States: the case of Malta. ESMERALDA Final Project Conference Presentation.